I've sometimes idly wondered how particular things end up getting googlebombed and today it has finally dawned on me in a tangible way. And, being a community minded kinda gal, I feel like sharing it with my exclusive readership of three. 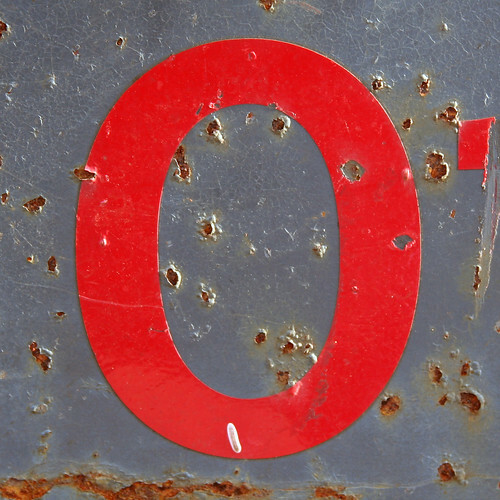 Zero is a pretty nothing sort of number – null, void, empty. Not the sort of thing I'd call my kid or use as a greeting. So I’m a bit surprised Coca-Cola decided to use it for their new product Zero, even though this “intelligence” would have taken a small army of market researchers a lot of time and money to accumulate. But hey, they must know what they’re doing – Coke is probably more well known than Jesus in many parts of the world. I’ve seen the billboards, heard the ads, even almost bought the T-shirt. But I can’t say I really started paying attention to the product until I saw a post by Antony Loewenstein a month or so ago that referred to it specifically. "You may have seen the billboards around town: "Why can't you have a sick of work day?" is one example. It's all about the "Zero Movement", whose manifesto reads: "Rid the world of all the negative consequences that limit us all." A new message appears on the site every day, pseudo-philosophy dressed up as meaningful pronouncment." and then reveals that it's an advertising campaign. Soon enough, the "movement" started appearing in online forums but the cultural jammers weren't far behind. They've bought billboards and the backs of magazines. They call themselves 'the zero movement', but what are they? They're a bunch of advertising wankers pretending to be a grass-roots movement. They're spending Coca-Cola's money to try to get you interested in drinking a product called 'Coca-Cola Zero'. So what is this great new product? Well, if it's anything like the US version, it's a can of undisclosed ingredients mixed with a blend of aspartame and acesulfame potassium. Yum! This kind of viral advertising and "grass-roots" marketing is becoming increasingly common in an environment saturated with useless products, drinks and food. It's legal and possibly quite effective, though ethically suspect. On the other hand they're skating on thin ice here. When I read the post (without knowing it was about Coca-Cola) I thought it was satire. Wouldn't take too much to turn it into a big PR mistake for Coke. Are you listening Adbusters? Billboard Liberation Front? CNNNN? And I pretty much forgot about it. Smirked whenever I saw the billboards but otherwise became immune to the branding in public spaces where the product has blended in with all the other loud shirts. I reckon these days everyone's far too worried about responsibility in general. Me and my mates have been reading about this great thing called "The Zero Movement" and now realise that what we really need is zero responsibility. We've been inspired to put together a bit of a site about it, so if you want to read more then head over to thezeromovementrocks.blogspot.com. PPS. And before anyone asks - no, we're not affiliated with the Coca-Cola company or anything like that. We love the new Coke zero, but we're definitely NOT on their payroll. We're just a couple of regular blokes who are really into the zero movement philosophy. Are you? And that, dear readers, is where I started to become interested again. This sort of behaviour deserves to be lampooned right through the blogosphere, in my opinion. It's like those silly Sony people using that feeble paint by numbers grafitti to get some street cred - I mean, GAWD - who the hell advises these clowns? So anyway - until yesterday I was still chuckling, thinking it'd be fun to do a parody and making a mental note to myself to think of something suitable. Then today Armaniac got the googlebomb thing happening, where linking to a site repeatedly will result in your blog postings coming up on Google when you use a specific search term. And Mr Lefty was close behind. And I thought I'd join the fray. Call me a slavish follower, call me a viral marketing tragic, call me exactly the sort of person the zero movement may be trying to lure into its sugar-free web. But then, as I put the final touches on this post tonight I notice that the zeromovementrocks blog has posted a message saying that it was a bit of a joke, a site where they’d hoped to start some satire, definitely not related to Coke or the "real" Zero movement. And you know what fellas? Even if you’re telling the truth, what has happened is pretty interesting anyway. I just visited the "real" Zero movement site. They have a blog. They even have comments that look like they've been written by 13 year old girls which either means they were written by 13 year old girls or 30 year old marketing assistants who read Dolly for inspiration. Can we take it seriously? Are kids falling for it? Is this the 2006 equivalent of the Juicy Fruit debacle of 2005? Between the two sites, I can't tell which is cheezier, frankly. So I guess we'll never really know whether "Dave" really was employed by Coke. Gut feeling tells me yes, caution and a reluctance to get my pants sued off says no. And I think this sort of thing is going to get harder and harder to spot as time goes on, as our common language becomes more colonised by the marketers and our population more vacuous. Anyone who spends much time on the internet will have come across this sort of thing at one point or another and it's great to see sites like consumerist.com taking them to task. But I wonder if we'll win in the longer term. If I use "the outside world" as a standard, my guess would be no. Are we unwittingly playing into the hands of Coke? Is any publicity good publicity? What's the capital of Latvia? (Which reminds me - a note to the teachers and grammarians out there, is it "rhetoric" or "rhetorical" question? And if so, why? ).